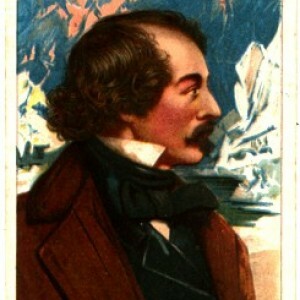 Dr. Elisha Kent Kane led the Second Grinnell Expedition to find the remains of the Franklin party and the elusive Northwest Passage. No expeditions better show how the United States Navy undertook these missions, despite a parsimonious Congress’ willingness to invest in exploration, than those to the Arctic. The public-private partnership had a proclaimed popular, among the elite on both sides of the Atlantic, mission — Finding the remains of Sir John Franklin’s lost party. What had been expected to be the culminating expedition for the Royal Navy in finding the Northwest Passage when it was launched in 1845 had plunged into mystery that led to disaster. The Americans would use whalemen’s observations and data to find it. The Admiralty dismissed them as amateurs. By the fall of 1849, the observatory had sent to its engraver eight, 35.3 by 24.1 inch sheets for its Track Charts — covering the Atlantic Ocean, North. What followed over the years leading up to the attack on Fort Sumter in Charleston Harbor were charts for the South Atlantic, the Indian Ocean, North Pacific, and finally the South Pacific. This was its Series A. After that came other chart series and last but not least, the Whale Chart, critical to the American exploration to find Franklin and the Northwest Passage. Maury presented the idea of the charts to the Navy hierarchy as a navigational tool and to free the Americans from a reliance on those done by the British. Having written a book on navigation that the Navy put in ships’ libraries that was an easy sell on both counts. But what the National Observatory was producing wasn’t the usual chart with hydrographic data, as Penelope Hardy noted, but ones showing “accumulated wind, current, temperatures, and other biological data graphically.” That emphasis on graphics to study “the phenomena of the ocean” made them more understandable and useful to mariners, ship owners, insurance underwriters, and scientists. Over time the whale men became an increasingly valuable source of information for Maury as he leaned toward finding the Holy Grail, the Northwest Passage. It started with right whales and also showed how his close relations with his family of cotton brokers in New York City helped in this inquiry. Was the whale they chased in the Southern Hemisphere the same as the animal they sought in the Northern Hemisphere? No was their answer. “The equator is a wall of fire” was his conclusion. Was the species of whale they hunted in the Bering Strait the same as they chased in Baffin’s Bay. Their answer was more equivocal. “So far as we can judge, they are the same fish.” Although, he termed it a “so-called Northwest Passage,” Maury laid out the line of inquiry he intended to pursue — if given the money. From one of his cousins, Maury knew that he was kindling an interest in the business community of New York. Public financing naval explorations of any kind was far down the list of Capitol Hill priorities in the post Mexican War years. Congress was tied in knots trying to decide these questions. where was the boundary between Texas and New Mexico,and the Constitution and existing federal law were too constrained to be effective in returning runaway slaves to their owners. Across the Atlantic, John Barrow, the long-serving second secretary of the Admiralty, looked down his fine nose at whalers such as William Scoresby with years of personal and family experience in the Arctic as unfit to lead or command the expeditions to mark the Northwest Passage. Yet these were the very men who invented the crow’s nest so invaluable in the hunt and battle. Barrow wanted Navy men — heroic in battles from Copenhagen to Trafalgar to New Orleans. When you looked at these heroes in peacetime, they had been rudely dumped ashore at half pay and commonly dank prospects. Years after Waterloo, many were eager to prove their worth anew. As heroic as they might have been in naval combat and rejoicing to be back on full pay when called to lead an expedition northward, none had spent much time in the Arctic. Barrow, who demanded his commanders write about their experiences to move the Royal Society, in particular, to sway Parliament to spend more on its navy and the navy to spend more of its money on exploration. Maury understood the value of the template for exploration Barrow had created. But how did Maury, born far from the ocean, who grew up near Nashville, Tennessee, become the man driving American naval exploration? His first interest began with the stories of adventure in the Pacific with Captain David Porter in the War of 1812 that his older brother John regaled him with as a boy. The American captain had tracked the British whaling fleet to its hunting grounds. He was sending a delayed message to London that its ships were not safe halfway around the globe. Coupled with his memories of these stories was his own naval experience. One of the most formidable came early in his career. Maury became friends with newspaperman Jeremiah N. Reynolds when the young lieutenant came aboard Potomac. Reynolds was serving as secretary for the ship’s commander John Downes on its historic circumnavigation voyage. Maury’s and Reynolds’ shared interests were far-ranging and similar — the need for a great American naval scientific expedition and whaling’s centrality to economic well-being. Kane’s taste for adventure was extraordinary—climbing the Himalayas, exploring craters in the Philippines, venturing out to archaeological digs on the Upper Nile, and being stopped only by coastal fever from reporting back on West African slave markets. His health—the lingering effects of a childhood bout with rheumatic fever—remained questionable. Historian Michael Robinson summed up Kane as a “man of many talents” with almost perfect pitch” in dealing with the audiences of his time. Using the continued hook of searching for Franklin to gain public support, maybe even Lady Jane Franklin’s indirectly, Maury felt he had more evidence to press on. In these years before the explosive charge was added, harpoons from whalers in Greenland were found in whales killed in the Bering Strait. Likewise, harpoons from whalers in the Pacific were pulled from whales taken in the North Atlantic. The means to the end of future explorations during tight budget times and roiling congressional distraction was born in the same month that DeHaven’s expedition arrived in the United States. The members were men of station and wealth. Henry Grinnell, the financier of the Franklin expeditions, became a longtime officer. John Aspinwall served as a vice president, and his partner John Howland in the Pacific Mail Steamship Company was an active member, as was the restless Cyrus Field, the driving force in the laying of the transatlantic telegraph cable. Important editors and writers were counted among its founders: George Bancroft, the historian, former Navy secretary, and diplomat; Charles Dana, soon to be the editor of the New York Sun; Henry Raymond, founder of the New York Times; and Freeman Hunt, editor of the business publication Hunt’s Merchant Magazine. Maury’s ambitions, Kane’s eagerness, and the society’s influence converged in “a mutuality of interest in naval exploration on the seafaring frontier.” The superintendent told his New York representative, George Manning, to send Kane the print of the Arctic to boost his fundraising efforts. Kane was deft, determined, and diligent in his dealings with the scientific Lazzaroni, the joking name Alexander Dallas Bache had applied to his friends, and Congress. He had served in the Coast Survey, a plus with Bache, its long-serving superintendent and great grandson of Benjamin Franklin. Kane’s father John, a federal judge, was active in the American Philosophical Society, another plus with Bache and Joseph Henry at the Smithsonian. Both were society members. Kane so differed from Maury that the Smithsonian secretary pledged more equipment than proposed for the first attempt, and the Coast Survey would do likewise. The endorsement of the American Philosophical Society followed. When Kane as commander, a surprising selection to many since he was a physician not a line officer, set out from New York in May 1853, expectations of finding Franklin and the Northwest Passage were high. Little did they know that events in the Arctic had beaten them to both. To the expedition’s lasting credit, the meteorological record being developed was meticulous. In addition, Kane, a superb artist, provided a powerful visual record of the expedition. Like others, on the announced public mission of finding Franklin’s party’s remains, Kane’s men came up empty. What Kane’s men likely found one of the waterways that formed a Northwest Passage, as Maury’s letter to von Humboldt several years before speculated. But it was one “Barrow’s Boy — Now Once Removed” following the secretary’s death in 1848 Lieutenant Robert McClure who is given the credit for being first. The logbooks and the relief party’s testimony bore out McClure’s claim. Based on late found evidence but not yet in the Admiralty’s or Parliament’s hands, Lady Jane Franklin stomped her feet and proclaimed McClure had done nothing more than what her husband had accomplished. The British awards committee, established decades before to recognize the discoverer with money and prizes, found a way to finesse the matter. Across the Atlantic, the New York Times agreed with the committee that McClure had found the passage. The acknowledgement was contained in an extended almost full-page story that also welcomed Kane and his men back to the United States.